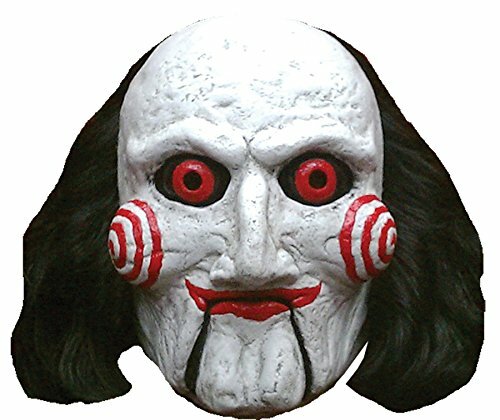 KINGEVA Halloween Mask Saw Mask is a high quality pvc- made Halloween mask, environmental-friendly and non-toxic. One size fits most people. 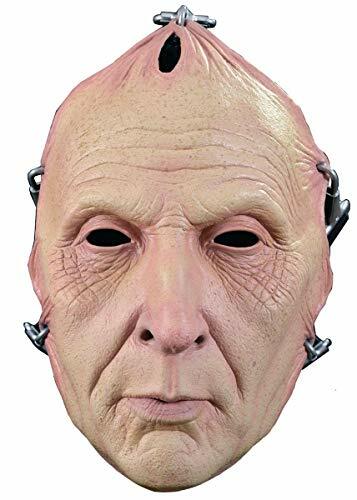 this masquerade mask fits most adult heads, both men and women, You can put a small towel or tea towel inside the head to give padding. It is so scary that will make some wet their pants :)). 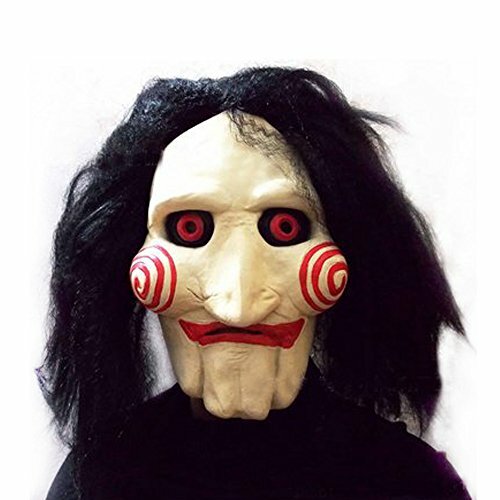 Very popular and used with Halloween Costumes and Masquerade scary parties In order to make our mask look more realistic we intentionally made the slits for eyes and mouth small. However, if needed, you can improve your sight by reworking our mask at home carefully cut them larger. 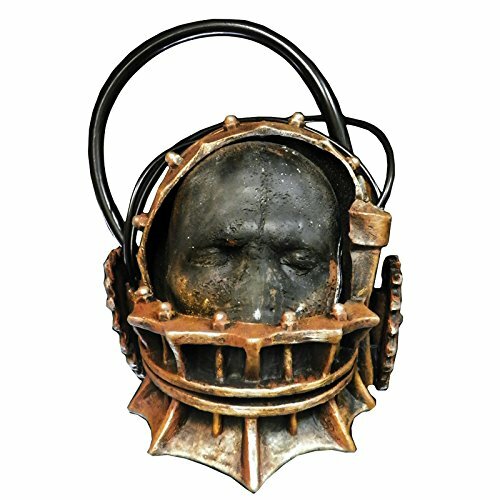 If you are allergic to pvc, please don't wear this mask. Kids under 3 yrs must be under the guidance of parents to use the mask. Tips: Don't wear the mask immediately after receiving the goods. Clean the mask with clean water first, then hang it in a ventilated place, and wear it on the next day, you will get a better user experience. Please note Notes: When you first open the packaging it may have a little latex odor. Just don't worry, it's the normal odor of latex, put it under ventilated place for one day, the odor will disappear. You can put a small towel or tea towel inside the head to give padding. If you are allergic to latex, please don't wear this. Kids under 3 yrs must be under the guidance of parents to use the mask. Keep away from fire. Color of pictures may varies by different monitor setting.All pictures are real stock photos. Package Included: 1 x The Goonies Sloth Mask Here are some tips to get the most enjoyment from our masks NO.1 Please be aware that the vacuum packaging may cause a slight deformation issue. I say slight because it will go back to its original and intended shape in a couple of hours. Just use something to hold the mask open. 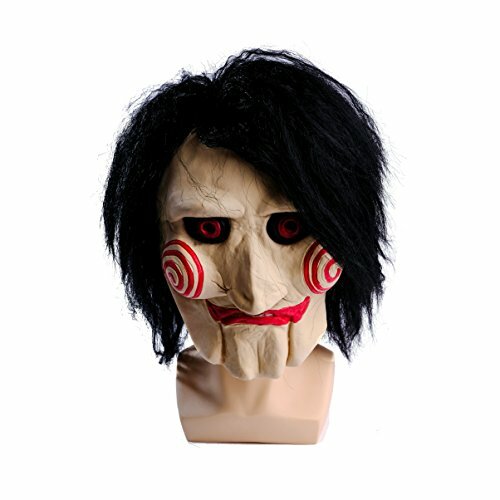 We suggest a wig stand or Styrofoam mannequin which can be found and purchased cheaply. One customer says that a small waste basket turned upside down will also work. 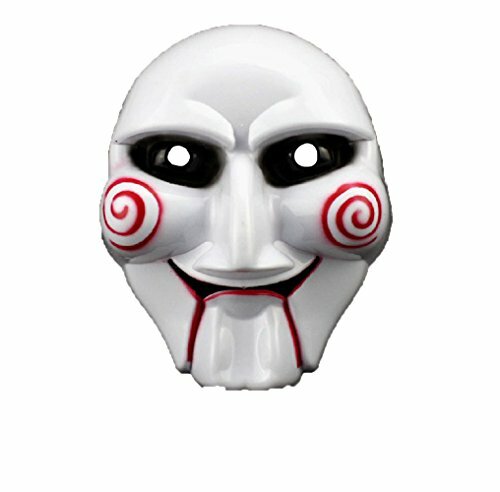 NO.2 In order to make our mask look more realistic we intentionally made the slits for eyes and mouth small. However, if needed, you can improve your sight by reworking our mask at home carefully cut them larger.